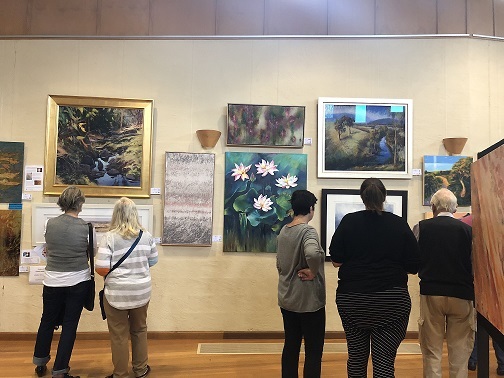 Artists won prizes valued up to $6,000 during Warranwood Art Show's 2018 Opening night Gala held in April 2018 at Oak Hall in Warranwood. An eclectic and wide variety of 2D and 3D artworks from 192 regional and local professional and emerging artists continues the artshow's theme of art diversity. Artists and visitors enjoyed perusing new art, meeting exhibitors and new artists in the party atmosphere. 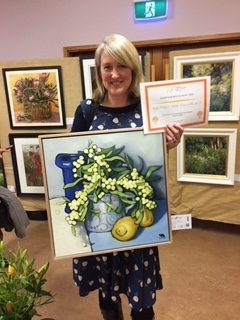 Kirsty Mcintyre (pictured right) was awarded Best In Show 2018 for her beautiful oil on canvas artwork, Wattle, Lemons and Blue Vase V.
On presenting the Best in Show award, Independent Judge Emmy Mavroidis said of the winning artwork 'a symphony of contemporary colours making the painting pop'. "It's beautifully balanced and a sensitively composed still life," she said. "There's clarity and confidence in the placement of the objects and your eye never tires of looking as the golden wattle and curly green leaves leading you across and around, circling the interior space. "It's the work I kept going back to and it popped every time." - Zetta Kanta (Special Category 2018: Best 2D artwork). 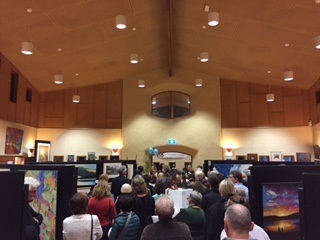 Highly Commended mentions for outstanding art were awarded to Faye de Pasquale, Kylie Sirett, Dennise Wanless, John Osmond and Barb Henderson. There was much for artshow visitors to see, experience and enjoy over the weekend. Over 400 artworks in a host of mediums by professional and emerging artists from local and regional areas across Victoria. Visitors enjoyed the wide range of 2D and 3D mediums as paintings and drawings, etchings and mixed media, digital art and photography, ceramics, sculpture, textile works and unique one-off jewellery pieces at the 2018 show. Ceramics, sculptural pieces, photography, digital art, jewellery continue the diverse theme on show alongside fine art by collectible artists on display. 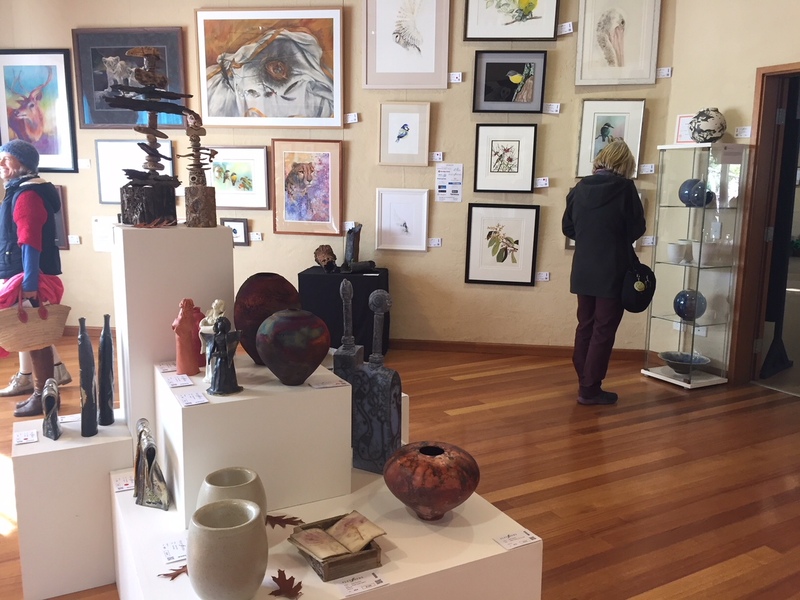 Art to adorn, ceramics and functional pieces for the home were popular including award winning work, collectable artworks and favourite artist works. Visitors enjoyed the live music and Cafe which served light lunches and home baked treats by the Melbourne Rudolf Steiner School community throughout the weekend. As part of the annual art show weekend, a People's Choice Award was voted for by the visiting public with Phil Suter winning the Award for his The Ghost of Jerrys painting. Phil wins an art prize sponsored by Victorian Artists Supplies in Eltham, who have sponsored the perpetual People's Choice Award since 2009. 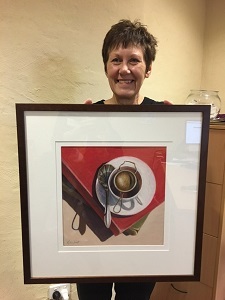 Donated raffle prize Tea Readings, one of Kylie Sirett's beautiful artworks, was won by weekend visitor, Lyn McGoldrick. Warranwood Art Show thanks Kylie Sirett for her generous donation of artwork. Proceeds from the raffle plus door entry, cafe sales and artwork commissions goes to the School Community Association for new equipment and upgrades at the Melbourne Rudolf Steiner School in Warranwood. A sublime cello performance by Alexi Kyrkilis-Kalathas late Saturday afternoon for 'Art & Wine with Cello' enthralled visitors who enjoyed listening to Alexi's playing with the local wines on offer by Warranwood award-winning winemaker, Rob Dolan Wines. Artistic musical artist and singer, Dominique Oyston stunned the Sunday morning crowd with theatrical songs and opera. An impromptu duet ensued with Dominique and David Gould - a musical treat for event goers. 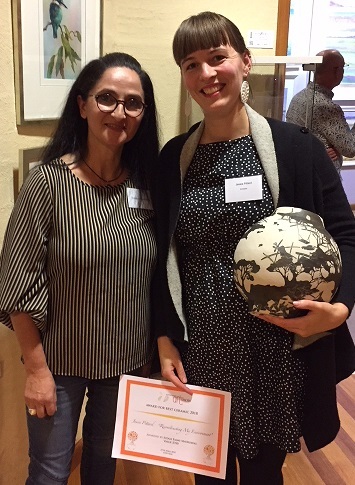 Warranwood Art Show congratulates all the 2018 award winners alongside fellow exhibitors, musicians, performers, art volunteers and the visiting public at this year's outstanding art show. Warranwood Art Show thanks Curators Lisa Beaumont, Seren Little and Lorene Kelly for the gallery-like art space at Oak Hall. 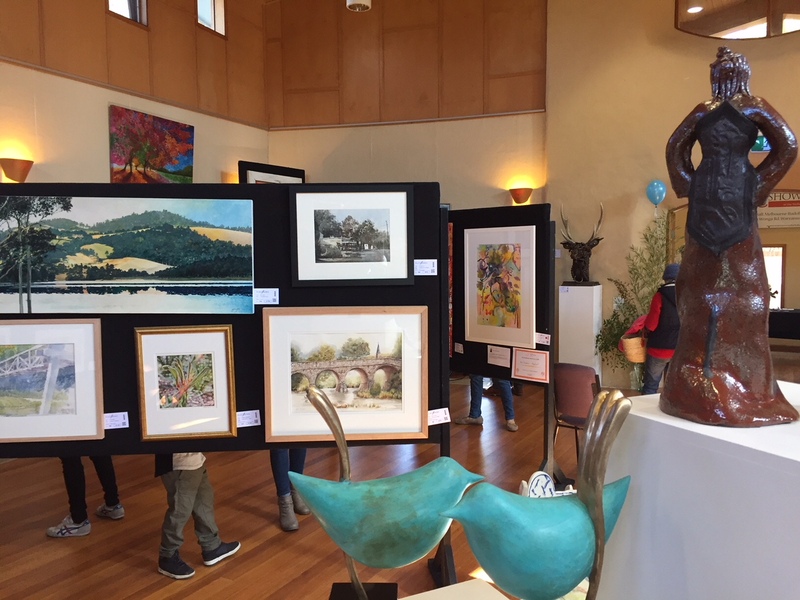 The artshow thanks the school community volunteers for creating a spectacular 2018 art event and fundraiser for the Melbourne Rudolf Steiner School. Proceeds from the fundraiser art show event goes to the School Community Association towards improvement works and equipment upgrades at the school. ...comments expressed by this year's visitors to Warranwood Art Show 2018.